Hollis Morris turns the ribs on his Pigs-N-Heat BBQ grill. 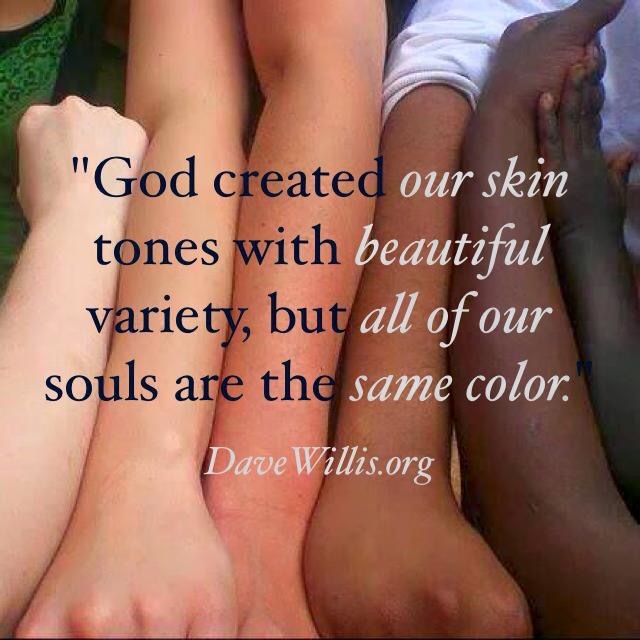 I hate to admit that there is still racism in our world today. We, however can battle back against the haters with love and BBQ! [pullquote]I have decided to stick with love…Hate is too great a burden to bear.” Dr. Martin Luther King [/pullquote]The title “Ku Klux Klan” was also used by the caller. When I googled KKK, this is what popped up. When I called the number listed on this home page, a woman answered. As she gave me a bit of info, I told her that I noted the KKK home page said that they were about “love NOT hate. I then told her about this incident in Kennesaw, asking her if the national office condoned this type of conduct. The representative said the National KKK Headquarters would never do something like that but there were other groups who have broken off from them who might be responsible for it. Mr. Morris has informed the Cobb County Police Department about the threats, which have been taken very seriously. No matter who these haters are, this behavior is deplorable! Order at the counter and eat in! Visit their website for hours and menu details! Drive right up to Pigs-N-Heat for some fresh BBQ to go! Yum! Let’s Dig In! BBQ from Pigs-N-Heat, Kennesaw, GA.
Let’s battle back against these haters and go get us some delectable BBQ! Whether from Tennessee, Texas, Georgia, Louisiana, or the Carolinas, Southern BBQ is the sweetest and most savory taste around. Donny and I have tried Mr. Morris’ Pigs-N-Heat BBQ and we confidently recommend it. Pigs-N-Heat is located conveniently at the corner of U.S. Cobb Parkway 41 and Jim Owens Road. (3061 Jim Owens Road, Kennesaw, Georgia) They offer a wide menu, a drive-up window, delivery within 10 minutes of their location as well as catering. Don’t wait! If you live near here, please offer your support to this business and enjoy some delicious BBQ at the same time! 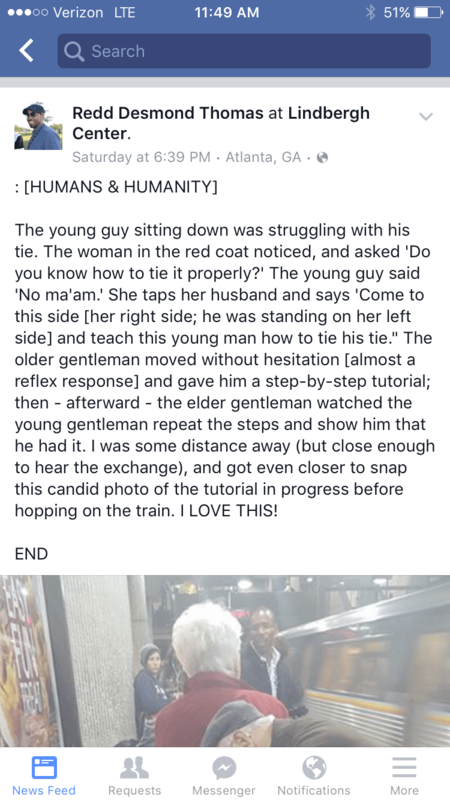 I love the following story I also found on Facebook: It reportedly happened recently at the Lindbergh Center Marta Station in Atlanta, Georgia. 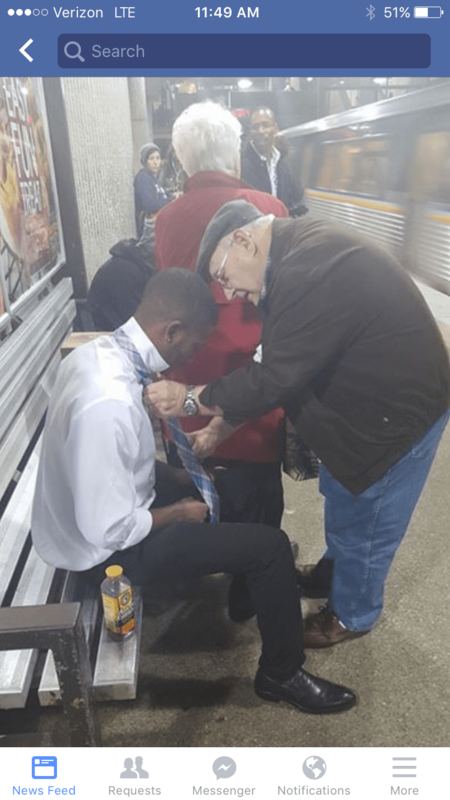 This young man who is sitting was struggling with getting his necktie tied. When the woman in the red coat noticed, she asked him if he knew how to tie it properly. “No ma’am,” he replied. Without hesitation, she taps her husband on the shoulder asking him to teach the young man how to tie a necktie. The older gentleman, again without hesitation, gave the young man a step-by-step tutorial; afterward, the elder gentleman watched the younger man repeat the steps and show him that he had it. Redd Desmond Thomas posted this on Saturday saying that though he was some distance away, he was close enough to hear the exchange and witness the tutorial before jumping on his train. This reminds me that we can all have a positive impact with the specific situation right in front of us!